The rap star popped the question during a 4th of July family gathering in his hometown of Chicago. The moment was captured on video, and it sees a shirtless Chance getting down on one knee to propose. Once Corley accepts, the couple’s young daughter, Kensli, can be seen running over to her parents for a hug. Chance has since confirmed the news Twitter, while his brother, Taylor Bennett, took to Instagram to congratulate his brother and new sister-in-law. 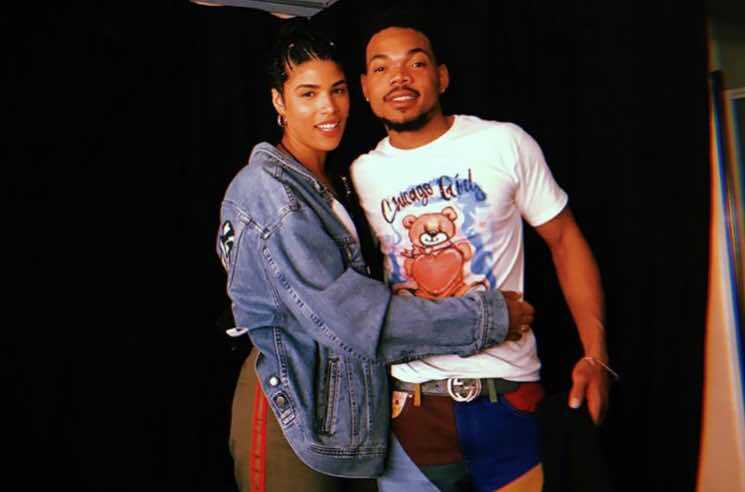 Back on May 31, Chance publicly declared his feelings for his now-fiancée in an adorable Instagram post for her birthday. Revisit that below. There’s no word yet on whether she’ll be taking his name and becoming Kirsten the Rapper.